Outcome Chains – Elevate your enterprise sales team. 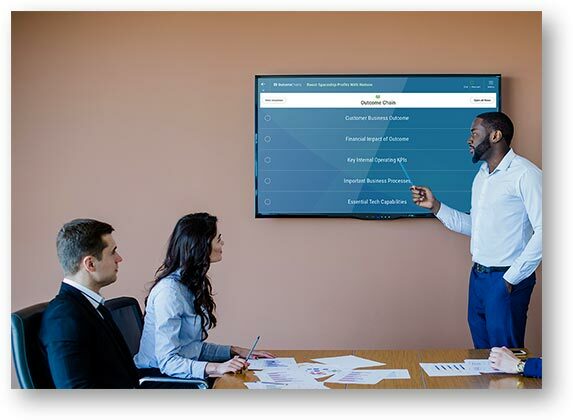 Deliver better enterprise sales presentations. Sell in the business language of your buyer. 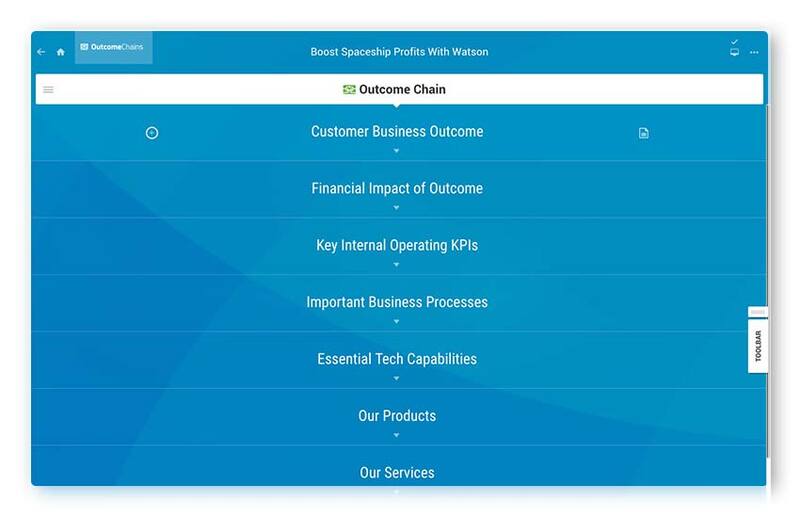 Connect complex offerings to customer outcomes. 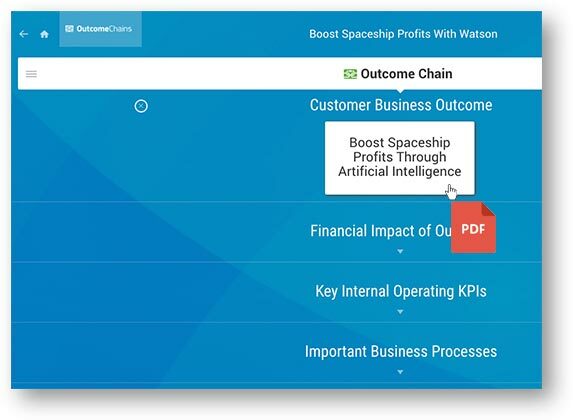 Elevate your enterprise sales conversation with Outcome Chains (OCs). Today’s enterprise tech buyers want to talk about business outcomes, not just features. The problem is that most enterprise sales teams are not equipped to handle this approach at scale. The Outcome Chains software helps you get deals done. OCI is online platform that allows tech companies to transition a price and feature-driven sales approach to one centered around customer business outcomes. A new way to communicate and discover with your customers. Talk to any customer like your subject matter experts do. Your company’s SMEs create OCs. You can copy and customize the OC for each enterprise sales opportunity and then simply follow the flow click-by-click. Keep pace with the conversation. 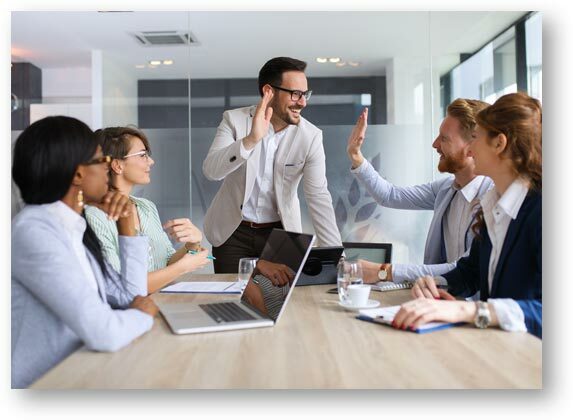 OCs can change during the meeting to keep pace with the seller and buyer dialogue through a simple drag and drop experience. 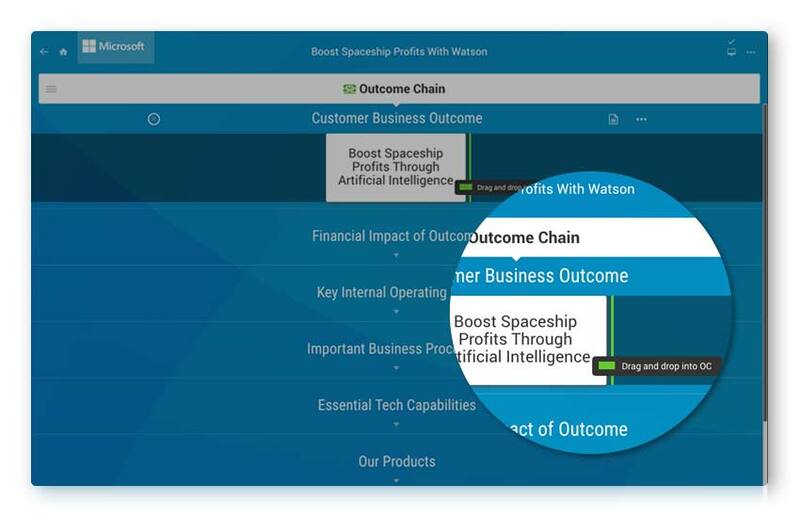 With Outcome Chains, Fortune 500 enterprise sales teams and their buyers are now able to effectively visualize and collaborate around the offerings, desired outcomes and impact across key business areas. Elevate your approach to sales with Outcome Chains. Sell business impact, not just a product or service. Engage in a true dialogue with the buyer. Easily and quickly address the concerns of various buyer personas. Socialize the solution across decision makers and analyze usage. Discover and apply outcome based selling across sales teams. Identify top performing Outcome Chains. Quickly apply the winning OCs across sales teams. Collaborate directly with your sales teams in the OC. Integrated into your CRM system. Map domain knowledge to business outcomes. Better communicate domain knowledge to sales teams. Address the content needs of multiple buyer personas. We are helping transform sales across a wide range of tech companies.